A poorly-slept night can make our day not the best. 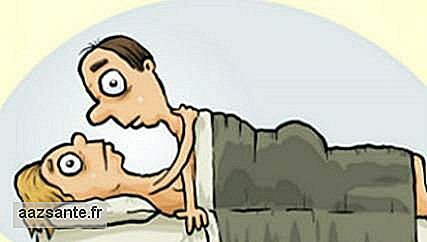 We feel tired, with lack of attention, irritability and with pains in the head and in the body. Therefore, it is essential to take good care of our nights of sleep, to start the day with the right foot. For World Sleep Day, we at the My Life portal conduct a special survey to find out how the quality of the night of our readers. And the results were amazing. The World Health Organization (WHO) recommends that the ideal is to sleep about 8 hours a day to have the necessary rest. However, our research indicates that My Life readers sleep on average 6h34m and only 15.2% of respondents can sleep 8 hours a night. With fewer sleeping hours, sleep quality is impaired. According to the interviewees, 74% believe that, in general, hours of sleep are not enough and they wake up tired. Light sleep (37.3%), sleep delay (33%) and insomnia 26.9%) are the most common reasons for decreased sleep quality, according to our readers. 4 out of 5 claim that they do not sleep as soon as they lie in bed and spend an average of 44 minutes rolling around until they can fall asleep. This contributes to the feeling of tiredness and drowsiness throughout the day. Another quite common habit among our readers is the nap during the day. 43% tend to take brief naps during the morning and afternoon. Of these, 34.1% doze off for more than 30 minutes most of the time. Brief naps can be beneficial to health as it helps us to replenish some of the energy expended throughout the day. However, are longer naps not always so good? "If the person dozed more than 20 minutes, it should take about an hour and a half to return to normal, so I think a reasonable average is 30 minutes after the nap," explains pneumologist Denis Martinez, a specialist in sleep medicine . It is not only the quality of sleep that affects our day to day, the opposite is also true. Our daily routine can affect how well or poorly we go to sleep at night. For example, a busy routine can make it difficult to sleep at night, resulting in a few hours of sleep and little rest. And, unfortunately, this is the reality for most of our readers. 40.6% work more than 8 hours a day, and 70.2% of those who work have household chores such as cooking, washing dishes and taking care of children after work. This double working day, in addition to restrict the time available for sleep, usually brings worries and anxieties, which end up inhibiting the relaxation necessary to get to sleep. More than half of the respondents, for example, stated that financial problems (50.2%) usually take their sleep, followed by family problems (38.9%) and relationships (37.9%). But it's not just the big daily worries that contribute to worsening sleep quality. Some small details, such as looking at your cell phone in bed before bedtime, having heavy meals at night or not having regular waking hours can be decisive for a good night's sleep. To this set of care we call sleep hygiene. The vast majority of our readers, 89.1%, claim to have a habit of looking at their mobile phones in bed before bed. This habit can be extremely damaging to a good night's sleep, since the light emitted by cellular devices inhibits the production of sleep hormone (melatonin), which is responsible for making us relax and sleep soundly.In addition, 37.4% eat heavy meals at night, a few hours before bed, and only 1 in 4 respondents make purposely lighter meals at night. "People who present with snoring and apnea may have a worse condition in the presence of gastroesophageal reflux. Does reflux tend to worsen when we eat a lot, especially at night?" Explains the ENT specialist Samanta Dall? Finally, another habit that can prevent a good night's sleep is not sleeping and waking at the same time every day.This is because our body is governed by a cycle called circadian, which means "around a day, "in which the body organizes its functions so that they always occur in 24 hours or so, obeying the length of the day." By stirring our circadian cycle, it deregulates. By sleeping later, you delay the biological clock and you can not wake up early, "explains the pneumologist Geraldo Lorenzi, a specialist in sleep medicine. On the other hand, among those who sleep well, only 49% believe that stress is harmful. Thus, it is possible to affirm that sleep quality can influence how people deal with stress. This is just one of the benefits of a well-spent night, which also includes: weight regulation, hypertension control, memory enhancement, depression improvement, performance improvement in physical activity, and reducing the risk of diabetes and cardiovascular disease. 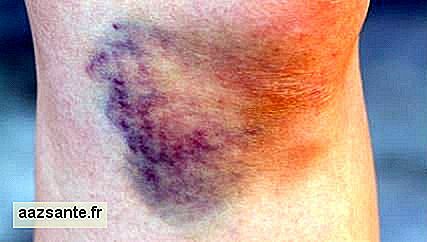 Hematoma: how to take care of and eliminate purple spots? Some people find it easy to have bruises on the body. They are spots on the skin that initially appear purple, well delimited, sometimes painful and others also slightly hardened. Over time, they become blurred, with less delimited edges, and change color to dark green, brown, and brownish. Hematoma or bruise? 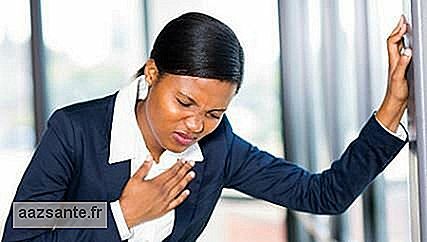 Infarction occurs when the arteries supplying the blood to the heart are partially or totally obstructed, reducing the cardiac flow and damaging the heart muscle. Substances that clog arteries and contribute to the formation of blood clots are formed differently in men and women, as described. In some women, especially younger women, the plaques do not clog the arteries, but they can still form clots that would lead to a heart attack.